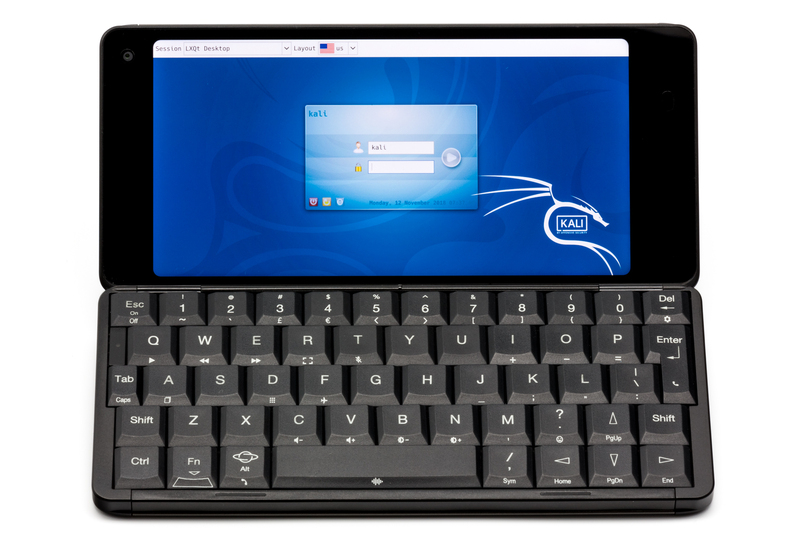 The Gemini PDA is a multi-boot Android smartphone with a keyboard that supports the installation of up to three operating systems side-by-side (currently any three of the following: Android, Sailfish, Debian, Kali Linux). 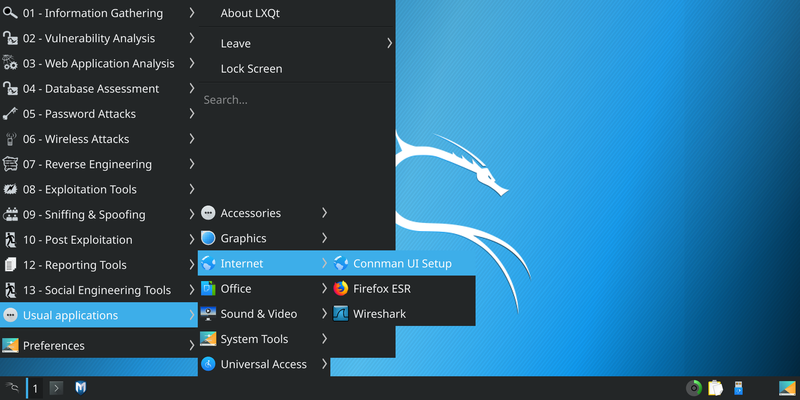 The Kali Linux Gemini image can be downloaded from the Offensive Security ARM images page. The folder contains all files required for a complete re-flash of the Gemini PDA with bootloader, a rooted Android partition and Kali-Linux. If you would like a different partition layout, follow the official flashing guide. Make sure that the Linux partition is at least 6GB. With a linux partition created, you can write the image file linux_root.img straight into it. Don’t forget to flash the corresponding Linux kernel image “linux_boot.img”. The rest of the steps in this guide detail a complete re-flash of a Gemini x27 with a Windows PC. Before flashing the device with a different firmware, it is a good idea to backup the current NVRAM partition. 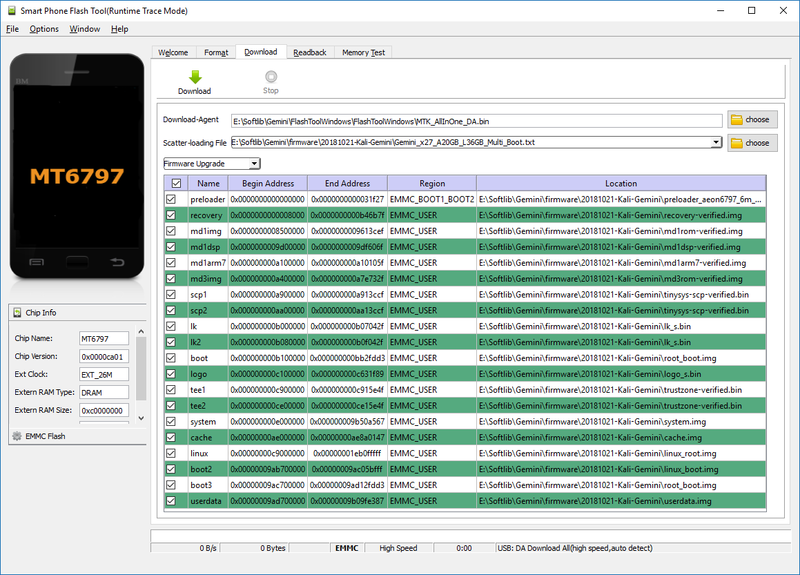 This partition stores key information for your Gemini, including the IMEI number. If it gets lost or damaged, your Gemini will not be able to make or receive calls. To back up the NVRAM partition, click the “Read Back” button, connect your Gemini to your PC, and power on the Gemini by pressing the “Esc” button for about a second or two. The flash tool will detect the unit and back up the partition. 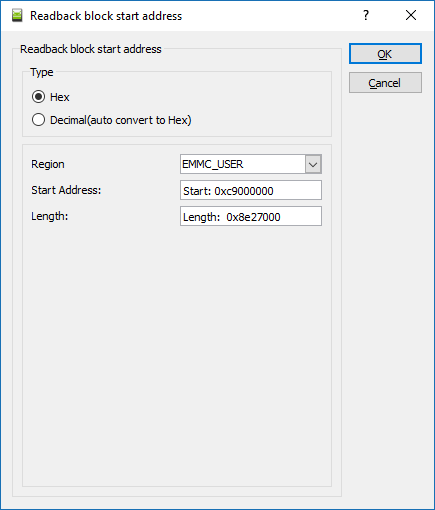 To start the flashing process, just click on the big “Download” button, connect your Gemini to your PC, and power on the Gemini by pressing the “Esc” button for about a second or two. Run the pre-installed “Magisk Manager” to complete the rooting process. Click ”OK” and then click “Readback”. Connect the Gemini and turn it on by pressing “OK”. Please keep in touch by joining us in the Kali Forums.